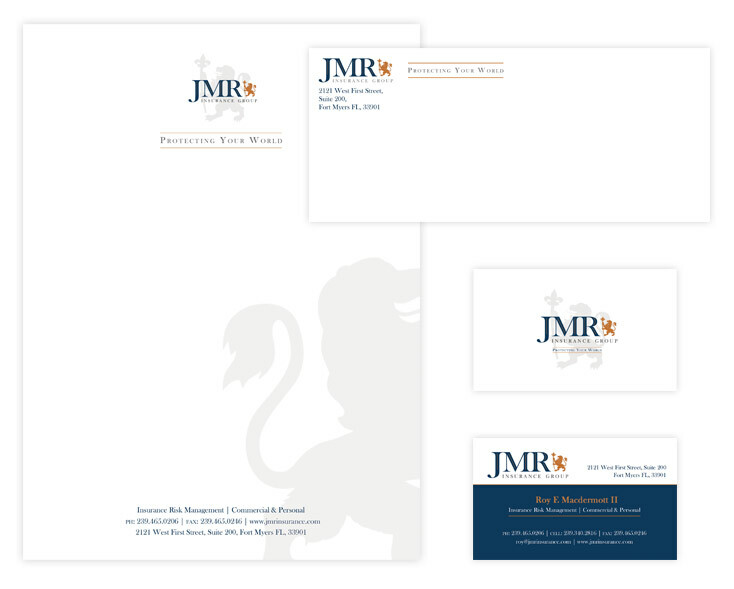 JMR Insurance Group is an insurance company primarily located in Florida, and they contacted my company to design a new logo for them, along with stationary materials like letterheads, business cards and envelopes. We discussed the client’s needs with them, and learned that they have over 25 years experience in the insurance industry, and wanted their identity to represent this experience. They said that they liked the phrase “Protecting Your World” and asked that we develop the logo design around that concept. Sketching works well for me as I love to draw and wish I dedicated more time to sketching just for the fun of it. Below you can see how I got started with my ideas; working on the concept of a shield for protection. The second I idea I had was to incorporate the McDermott clan crest into a shield along with the intials, JMR. You can see two of the concepts I presented to the client below. The first one uses a minimal drawing I made of the McDermott clan shield, with the 3 boar’s heads. The second concept uses a general shield look. The “JMR” initials in this design would work well standing along as a mark also and is recongnizable. The next concept I began to sketch was the idea of a lion, presenting the “strength” and “protection” feeling in this logo. I sketched the lion standing strong and powerful and then the client responded with the idea of adding a “fleur de lis” and scepter to represent the French origins of his wife and partner in JMR Insurance. 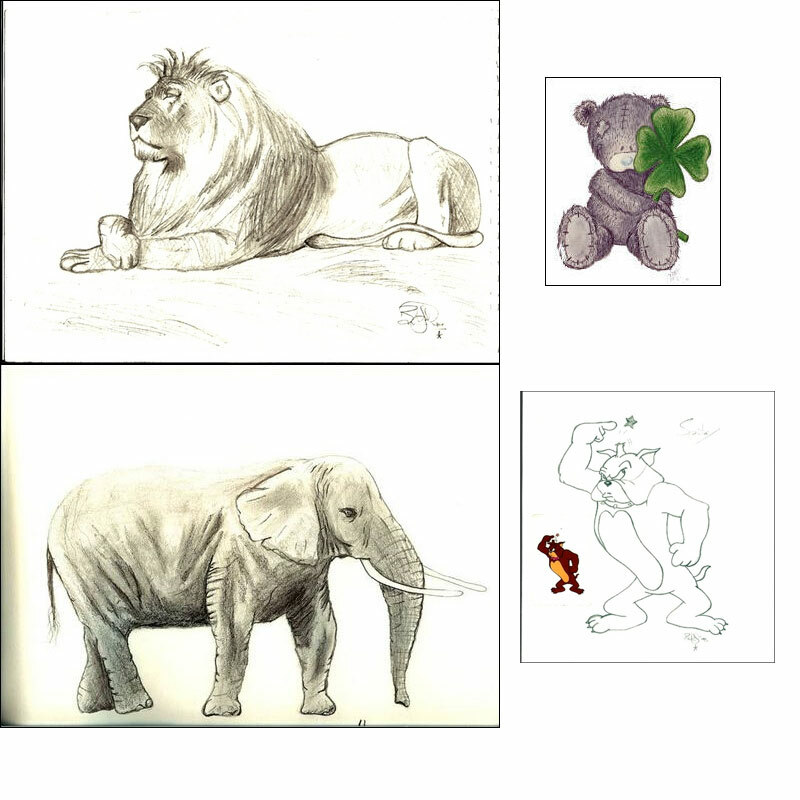 I drew a “fleur de lis” and then transferred this into a digital drawing, along with a detailed drawing of the lion. The lion holding the scepter tied in perfectly with the McDermott clan’s motto of “The Strong Hand Rules”. The final concept was ready to be developed into a full design in Illustrator, and can be seen below. Overall, we were all delighted with the new logo, and the stationary designs. The client now has a powerful, professional identity that represents their experience in the insurance industry and the overall look is one of strength, protection and competence. We are currently just about to start a web development project for this client also.